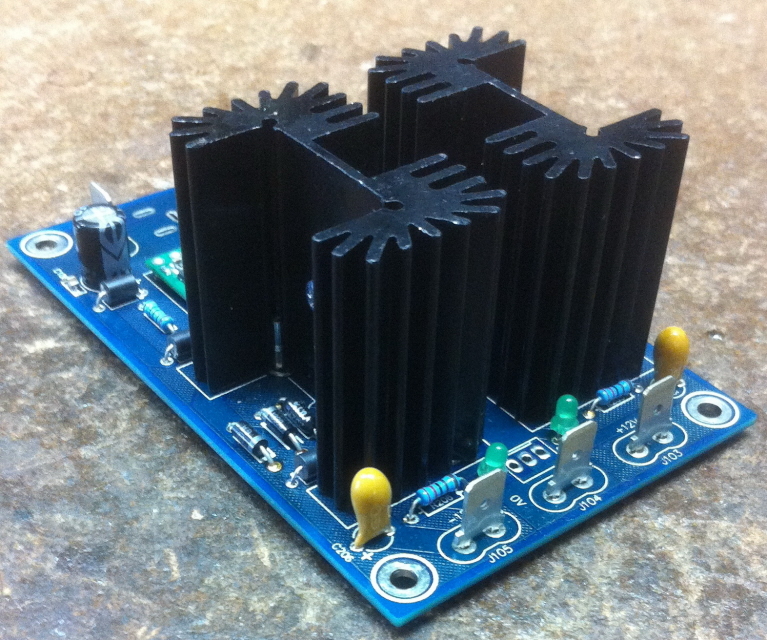 The ED122 Power Unit is a small compact board that takes a +15VDC supply and generates a linearly regulated +/-12V supply for powering your system. Outputs +12V @ 1A and -12V @ 600mA. The ED122 requires an external power supply of, nominally, 15VDC @ 2A and may be either a linear unit or an SMPS. The ED122 has a few assembly options that allow it to be panel mounted or case mounted. When purchasing this board you may need to add either our 4HP Power Panel or Power Plate to provide user access to the DC sockets, switch and status LED or provide your own solution.